A New Dawn of Fitness is Here!!! Comments Off on A New Dawn of Fitness is Here!!! The moment I left Equinox 4 years ago, I owned the fact that my journey as a business owner was there to help me express myself fully in this world. My vision was there for my own growth, and since expansion is one of my favorite hobbies, I took on the journey with my typical excitement, curiosity, and eagerness to stand in my evolutionary edge and see me expand to the most authentic version of my personal trainer self. The past 4 years have been a true discovery road to what I experience as almost complete wholeness! Finding my signature training system, and philosophy has allowed me the opportunity to integrate all of who I AM into how I serve the world. 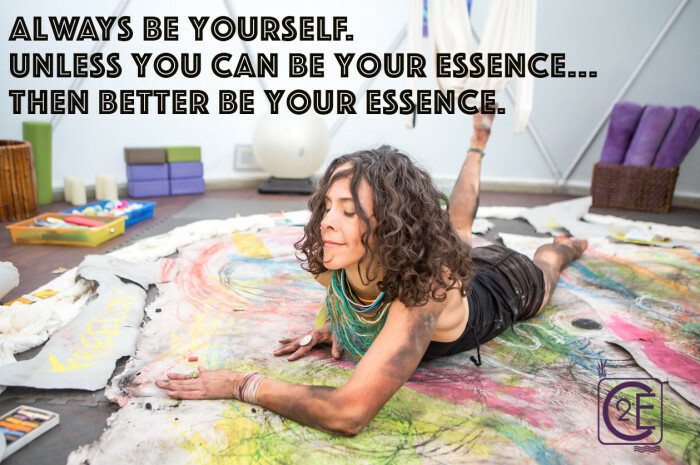 With the help of Soul Art Shaman, Laura Hollick, and her epic annual Nü Icon Movie event, which I’ve attended for the past 3 years, I’ve obtained more and more clarity as to how to bring all of ME into my practice. Dancer, model, filmmaker, art journalist, celebration queen, social architect, conscious evolutionary, prayer warrior, meditation guide, and even parenting coach. In her Nü Icon Movie events Laura leads a magical vision quest where annually I would unearth more of my treasures that needed to be expressed. DAILY, AT HOME, FOREVER will bring a New Dawn of Fitness to our lives. DAILY, AT HOME, FOREVER, has become my life saver, my connection point where I can maintain sanity, stay connected to my truth and actually feel amazing MOST of the TIME! DAILY, AT HOME, FOREVER, has been the ultimate way to activate a regenerative process in my body, mind and spirit, where I honestly feel I get younger every day as I find myself more agile, with more endurance, more strength, and a more effective immune system! DAILY, AT HOME, FOREVER, solves the two greatest obstacles to our fitness: time and money. 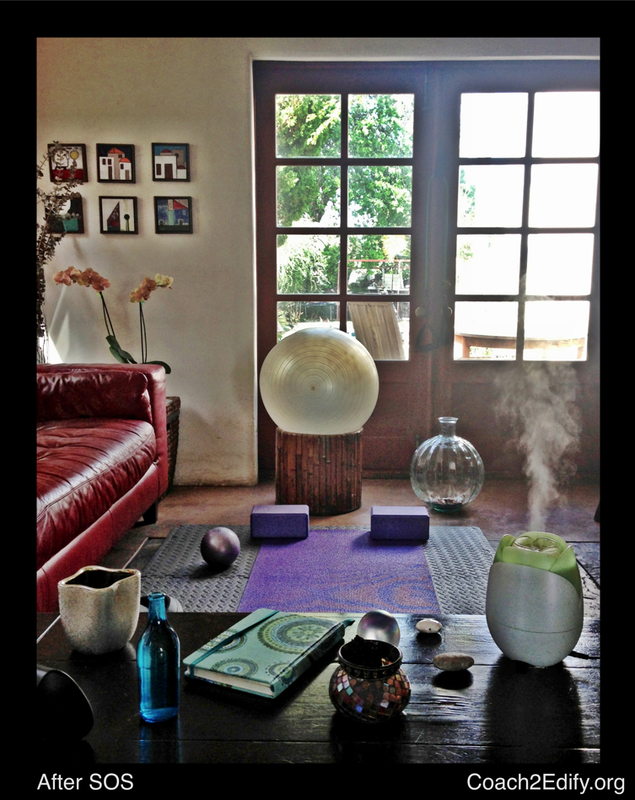 DAILY, AT HOME, FOREVER, is the mission of what I have coined as the Self Optimization Sanctuary™, which is the vortex I help others create at home so that we are pulled effortlessly to take care of ourselves just like we brush our teeth every morning and we feed ourselves at least 3 times a day with unfailing discipline! January 2016 marks a new season of clarity, unbroken focus, and openness to share with the world all the beautiful discoveries through 10 years of tenacious work. Birthing a system of full body integration that has been tested to be a bridge builder between our vision of wholeness and the practical application of actually BEING WHOLE, has been the greatest reward. 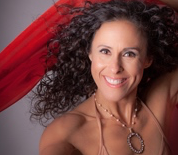 I will begin the conclusion of this post here with my deffiniton of Body Integration Specialist, my new vocation that I hold as a Master Trainer who has evolved her practice to contain all of the gifts I have to offer as a human being. No longer compartmentalizing myself, but allowing a WHOLE me lead others by example to the state of full expression and well-being that is our birthright! Body Integration Specialist: A holistic fitness professional involved in exercise prescription and instruction with the intention of assisting individuals integrate all the components within themselves, in order to become whole and intrinsic to the world around them. In this uncertain times, personal transformation of body, mind, and spirit is crucial to live abundantly. There’s no short cut, or happy pill, or lotto ticket that will bring this personal transformation other than getting our hands actively, seriously, and responsibly involved in the process. Transformation is not, as many like to call it, a new-agy term, it is an urgent call to all of us inhabiting this planet if we want rise above the turmoil that exists. 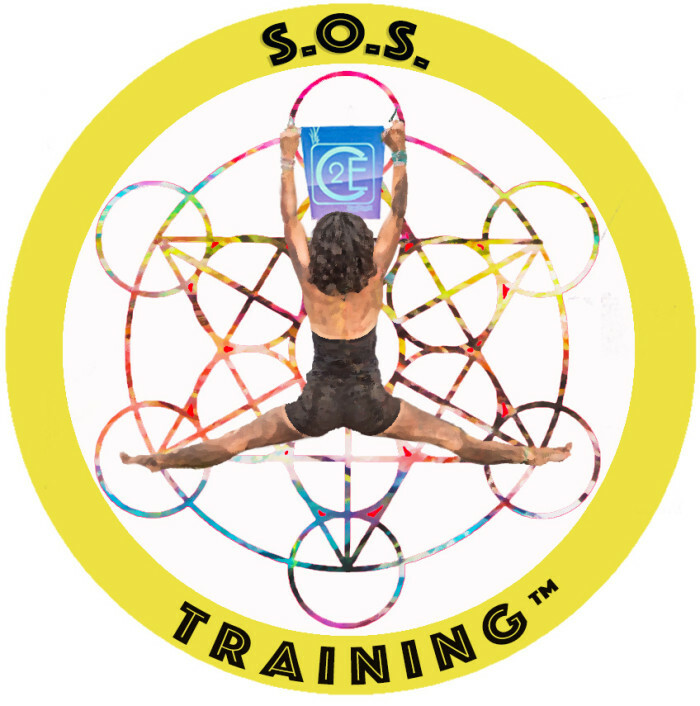 Self Optimization Sanctuary’s ™ acronym S.O.S. is there to remind us of the urgency it currently exists for all of us to take serious care of our most important piece of real estate: our body, which is made up of physical, mental, spiritual, and emotional energy. Saying ‘I’m not a spiritual person.’ these days is simply denying who we ARE. I challenged myself to create a series of 12 videos this year, one monthly, where I will do my best to communicate the meaning of Body Integration. Here is video #1, which I titled Essence, as a tribute to finding the treasure of my self-expression. 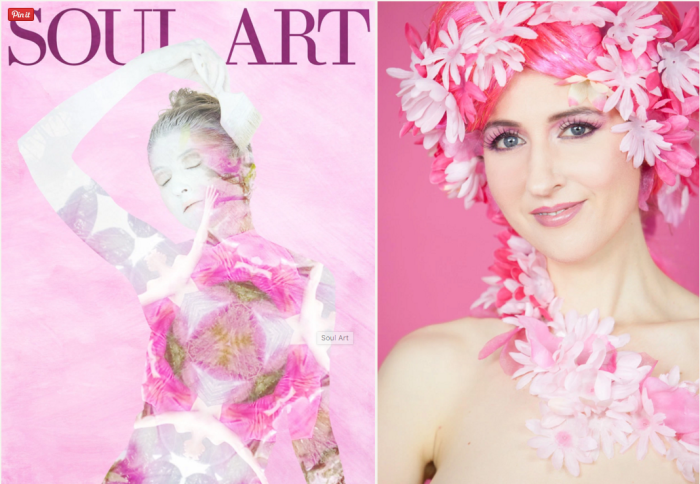 I would like to thank Deborah Kolb, my photography angel who has been integral in this journey of self-discovery. She has been there to encapsulate my transformation from day one and we are now teaming up to offer my clients the amazing opportunity to have Deborah photograph their new found selves! You can find out more about that on the FREE Webinar on February 1st (details above). She shot all the still photography of this video and once again captured my zone! Mayra is the Founder and President of Coach2Edify, a residence based boutique gym, spa, and urban retreat in Woodland Hills, California. Mayra offers Premier Lifestyle Coaching Programs to those ready to turn their lives into their greatest masterpiece! As you may all know, I’m addicted to being inspired! I seek inspiration daily and in the past year, one of my greatest sources of inspiration has been the topic of Conscious Evolution. What does that have to do with FITNESS??? EVERYTHING!!!! The smartest way I have experienced getting fit is by addressing our personal evolution as a whole. Our personal evolution depends highly on integration, not balance. 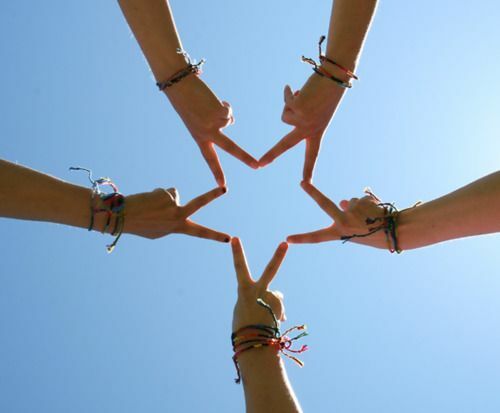 Personal integration of body, mind, spirit first, then integration with our families and communities. We have been learning about balance to achieve wholeness for the past decade or so…and now is time to bring it all together to create the heaven on earth we have been promised! I’m evolving to become a social architect whose passion is highly driven by finding JOY in everything. As I troubleshoot C2E’s models of collaboration to find the most joyful, productive, effortless, and stress free working environments, I’ve come across the concept of Co-Creative Cultures. During my recent class with Barbara Marx Hubbard, The Sacred Journey of the Conscious Evolutionary, she introduced the concept of the Co-Creative Culture after 6 intensive months of personal evolution processes. Now I’m diving into her Co-Creators Rising class which started yesterday!! For any of you interested in the subject, I have created a little 5 page handout with all I learned during my introduction to the subject. If you feel drawn to this subject and find yourself wanting to do more with this idea, PLEASE EMAIL ME (mayra@coach2edify.org) or leave a comment here below! I’ve included a list of Co-Creators’ Agreement which can come very handy to anybody managing groups of people. Following last week’s introduction to the OmGym, we invited our client Shannon to share her OmGym experience with us. Shannon’s honest approach by sharing her fears and reservations are inspiring. We love reading about Shannon’s OmGym transformation, and hope that you will, too. 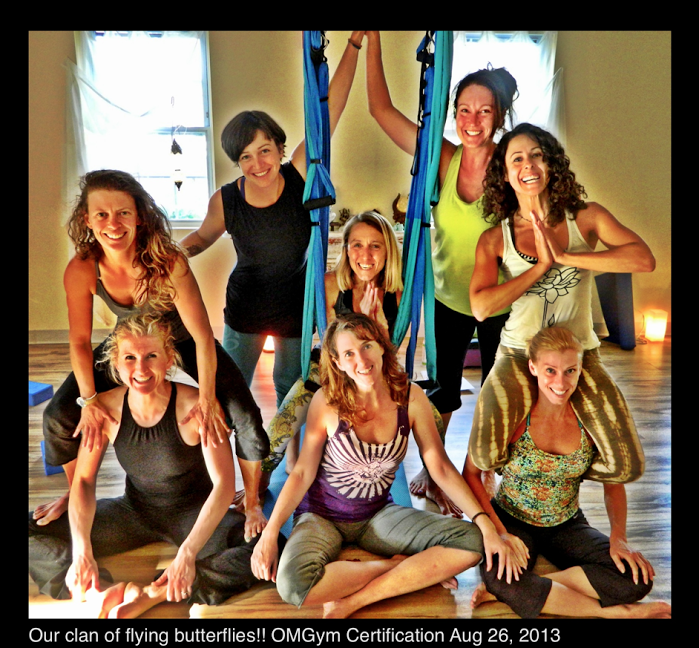 It sounded so strange: when Mayra McCullough described the OMGym workout to me, using words like “suspended,” “inverted,” and “cocoon,” I had visions of Cirque du Soleil performers in skimpy costumes; their taut, bendy bodies moving in ways I never could. I have no flexibility, and never have. I have never been in shape. I am usually on the brink of war with my body. Occasionally, it decides to break down when it can’t take any more abuse, and I reluctantly give it a break just long enough to get semi-functional again before I go back to pervasive and destructive habits of high stress levels, lack of exercise, and emotional eating. The OMGym sounded scary. It sounded like it demanded a certain level of lithe physical fitness and balance. It sounded dangerous. It could not be for someone like me: overweight and out of shape. It’s not like I’ve never worked out, though I was born with some minor physical issues. I’ve had gym memberships. I’ve even had personal trainers who worked me so hard on several occasions that I threw up. It didn’t matter to which gym I belonged; each one had the same stifling atmosphere of judgment, competition, and negativity. I hated going there, so I didn’t. But I paid my monthly membership dues anyway, to maintain some shred of hope that I would find the motivation to get in shape. “Just try it,” Mayra urged. “What’s the worst thing that could happen?” I could break my neck, I thought to myself, but I agreed to give it a go because, well, she seemed so happy, like she thoroughly enjoyed her workouts. I’ve never enjoyed exercising, and I didn’t believe I’d enjoy the OMGym either, but I was desperate to change. Mayra must have sensed my nervousness when I arrived for my private demonstration. She smiled warmly and took me by the hand. “We’re just going to play,” she reassured me. And play I did, once I let go of fear of failure. I swung. I hung upside down. I flew like Superman. I laughed. I did exercises I never knew I could do. Maybe I didn’t look it, but I felt like one of those beautiful performers from Cirque du Soleil. Graceful. Strong of body, mind, and spirit. There was no failure; there was only support. And then it hit me: I was enjoying working out. The OMGym movements are playful and soulful. In some respects, my body had never worked harder. I was sore, but I didn’t hurt. I felt tired, but also rejuvenated. The entire process made me feel gratitude for my body, and the workout was like a peace offering. I started to trust my body, and my body responded in kind. My energy level skyrocketed. I couldn’t wait to do it again. I’ve been playing ever since. I know that the OmGym sounds strange. And it is, at first. 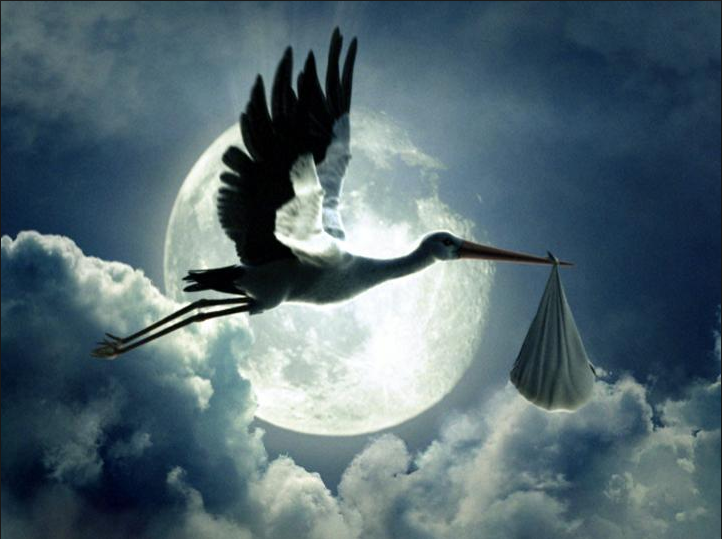 But then it’s magical and wonderful and uplifting. It becomes something else. I became something else. Or maybe I became myself, finally, for the first time. At Coach2Edify, our approach to Three-Dimensional (3D) Fitness fosters whole-being wellness. We champion fitness as well as personal transformation. The effects of 3D Fitness transform the body, mind, and spirit and shift your outlook from ordinary to extraordinary. As part of developing fitness practices and regimens for our clients, we’re always looking to play. We love developing programs that our clients love—why should fitness be routine, redundant, or anything less than pure fun? That’s why we love the OmGym. After I attended certification training for the OmGym in Baltimore, I knew that I had to integrate the suspension system into the Coach2Edify fitness routine. I built a unique space for OmGym training at our Villa and christened it the OmDome. So what is the OmGym? Founded with the mission to inspire joy within movement, to offer the most effective, versatile tools for health and fitness, and to create eco-friendly and affordable fitness solutions for all, the OmGym is a versatile suspension training system. 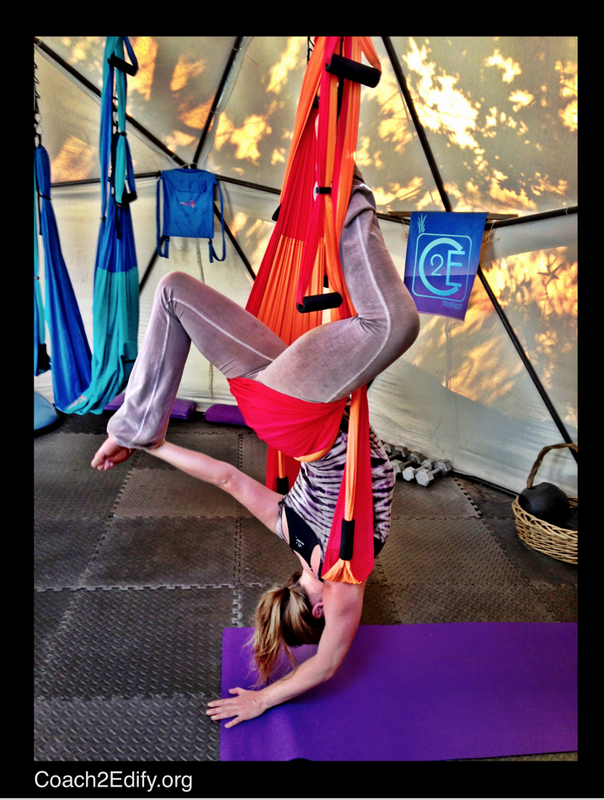 In 2005, OmGym founder Sarah Kellett, ERYT-500, discovered the dynamic art of suspension and realized it to be crucial in her own path of recovery. She had previously spent years exploring rehabilitation methods after a car accident left her with painful compression injuries and spinal misalignment. Informed by her extensive background in athletic therapy and yoga, she then implemented and built upon the age-old practice of inversion and traction therapy, which reaches all the way back to ancient Greece and Hippocrates, the “father of medicine.” (Hippocrates may have been influenced by an even older tradition. Indian yogis had been using ropes and vines to assist in their exercises for thousands of years). In the modern era, world-famous yoga teacher B.K.S. Iyengar popularized the use of rope and fabric slings to help with inversions and a great variety of suspended and supported yoga poses. Ms. Kellett combined the most effective elements of these traditional ideas and expanded upon on them to catalyze her own rehabilitation program. Her rapid healing soon gave way to an even more amazing development: a pain-free recovery with greater strength, flexibility, and success than she’d dreamed of! What was the secret? The use of variable support allowed her to fearlessly integrate new movement strategies. She was able to use gravity as a means of decompressing spinal impingements, while gently expanding her range of motion, deepening her awareness of her own center of gravity, and rebuilding the stabilizing muscle groups essential to optimal recovery and beyond. She used traditional exercises and yoga poses as a departure point, but later integrated many therapeutic and fitness techniques to evolve this practice. Inspired to share her new ways of healing with her community, Sarah founded OmGym LLC with the enthusiastic commitment to offer the greatest of healing and personal fitness tools worldwide. 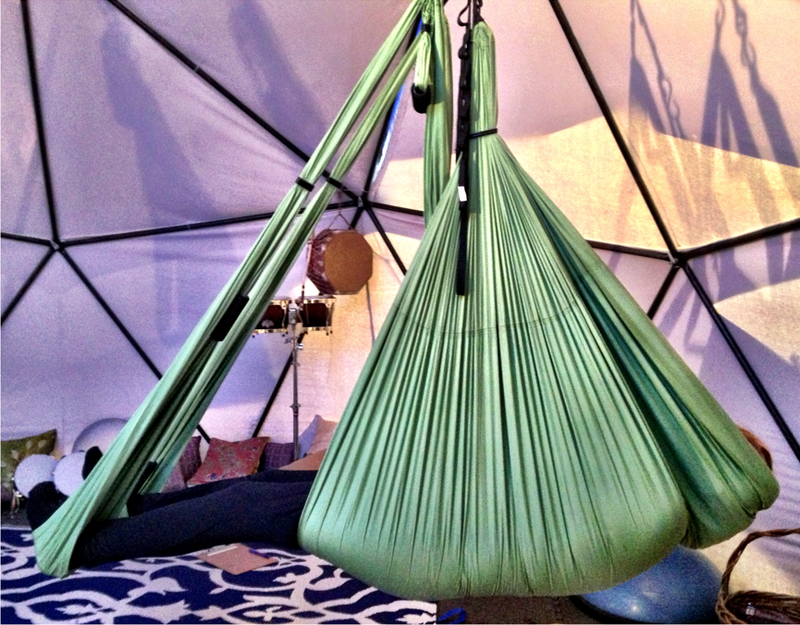 The OmGym Suspension System is now the most user-friendly, portable, adjustable, versatile, attractive and eco-friendly multi-gym on the planet. We offer both OmGym training at our Coach2Edify facilities, and an OmGym package for purchase, delivery, and installation of your own OmGym that includes an introduction and training session with me, Coach2Edify Founder Mayra McCullough. Please contact us for more information, and play your way to Three-Dimensional Fitness! 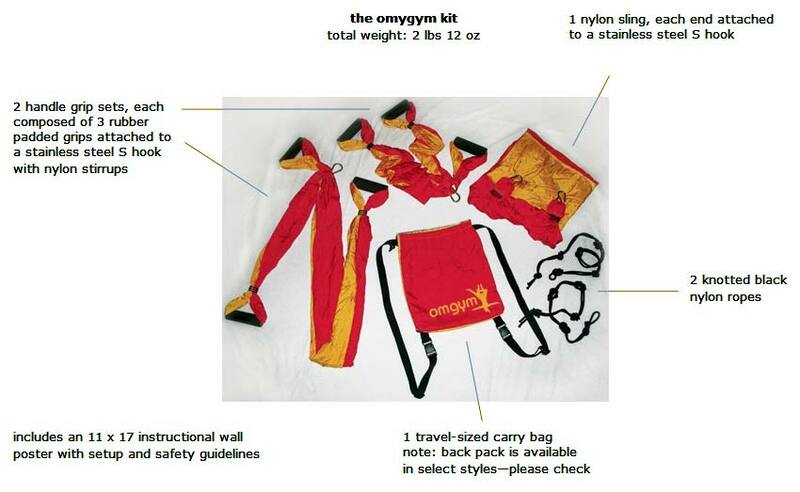 Read more about the OmGym on their website. Last week, we gave you some tips for creating a space for home self-care by creating your Self-Optimization Sanctuary (S.O.S.). 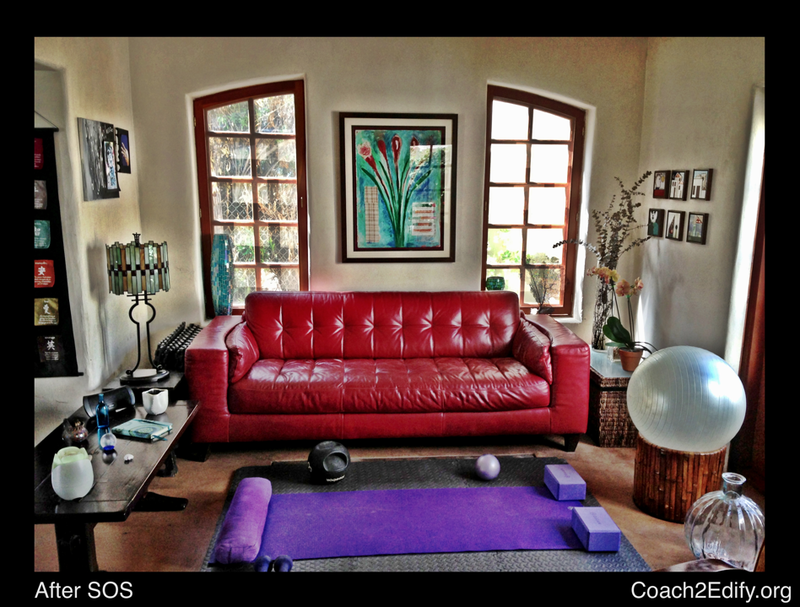 Your sanctuary is a sacred space to foster a daily fitness and well-being regimen. Here is an example of what my personal S.O.S. exercise flow looks like. Please note that my objective is not to give you a specific set of exercises; but ideas on how to flow with the needs of your own body. At Coach2Edify, it is our mission to inspire others to create a sustainable and consistent self-care routine that becomes as second nature as brushing one’s teeth in the morning. Activities such as journaling, meditating, and creative expression are also recommended to integrate in your S.O.S. time. For personalized workouts to do at home, please feel free to contact us for a free consultation. I love training with my clients on a routine basis, but it’s important that they maintain optimal 3D fitness between our training sessions. The best way to achieve this is to create a Self-Optimization Sanctuary (SOS). I find that the main obstacle to self-care is lack of time. Driving to the gym, scheduling yoga classes, or rushing to pilates takes time. The best solution to this little problem is to create an SOS gym in your own living space. Here are some tips on how to create a sacred space that will draw you in and leave you no option but to dive in, care for, and LOVE yourself! Let’s do a little space make-over here. The Coach2Edify Villa is pictured below. 1. Create an altar with things you love to help you set the mood for SOS time. For me, the magic ingredients are music, zesty aromas, sage, and a journal. I also like to add totems or stones that remind me of positive thoughts, memories, and intentions. 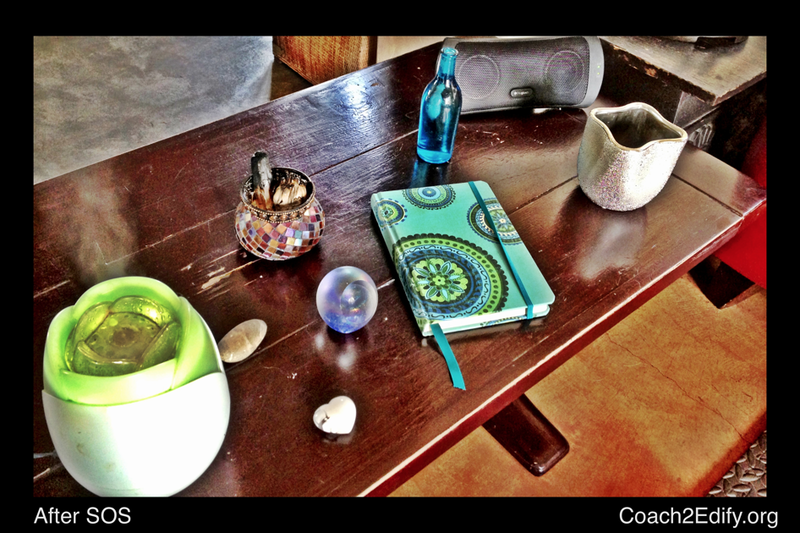 The little bottle of water pictured reminds me of clarity, focus, and stillness. 2. Schedule SOS times as if they were sacred appointments with yourself. These appointments will reward you with positive, connected, grounded, and peaceful feelings. Body, mind, and spirit will reward you with the pleasure principle of gratitude to your higher self. At Coach2Edify, our mission is to create a global movement of sanctuaries to establish a culture of personal care. 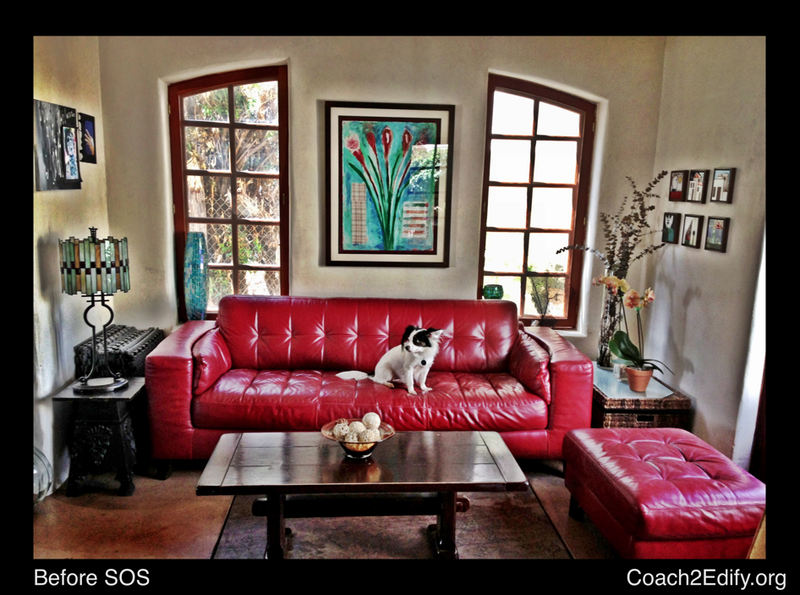 We facilitate SOS consultations at your home, workout programs to help you get started, and weekly support via phone. Next week, I will post 3D Fitness Flows for use in your own Self-Optimization Sanctuary. For all those who submit BEFORE and AFTER SOS pictures with your routine of personal self-care by the end of April, you will win a one-on-one training session with me at the Villa!